Fresh leaks of the Nokia 8 have recently surfaced suggesting a release date of July 31st. The renders showcase the device’s front and back. Nokia 8 is expected to feature Dual camera setup, Snapdragon 835 SoC coupled with up to 6GB RAM and 128GB ROM. Rumours of a flagship-level Nokia smartphone have been doing the rounds for a while now. Initially, most rumours suggested that the phone will be called the Nokia 9. However, the most recent leak points to the Nokia 8 being the first flagship Android smartphone from Nokia featuring Zeiss optics. 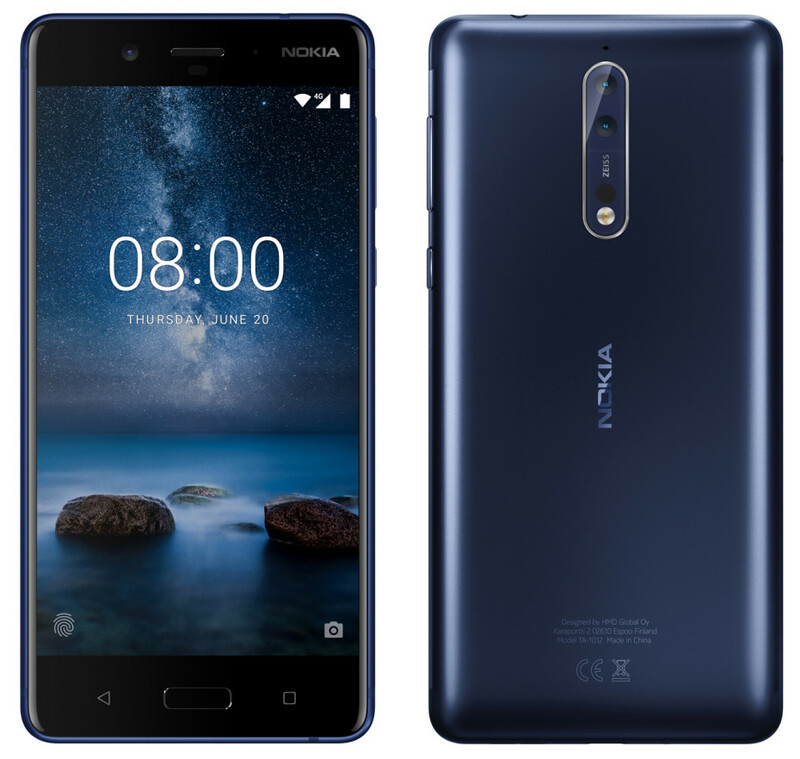 HMD Global and Zeiss had recently entered into a partnership to bring Zeiss optics to Nokia smartphones. The renders on Venturebeat showcase Nokia branding, earpiece and a front camera atop the display. Below, we can see 3 capacitive keys, where the Home button doubles up as a fingerprint sensor. The back of the alleged Nokia 8 renders boasts a Dual camera setup. The phone shows vertically set dual cameras with Zeiss branding. A vertical ‘Nokia’ branding can also be seen on the device’s back. The volume rockers and lock button are shown at the right side. The HMD Global flagship, Nokia 8, is yet to be announced. There are many rumours surrounding the device and here is all we know about the Nokia 8. 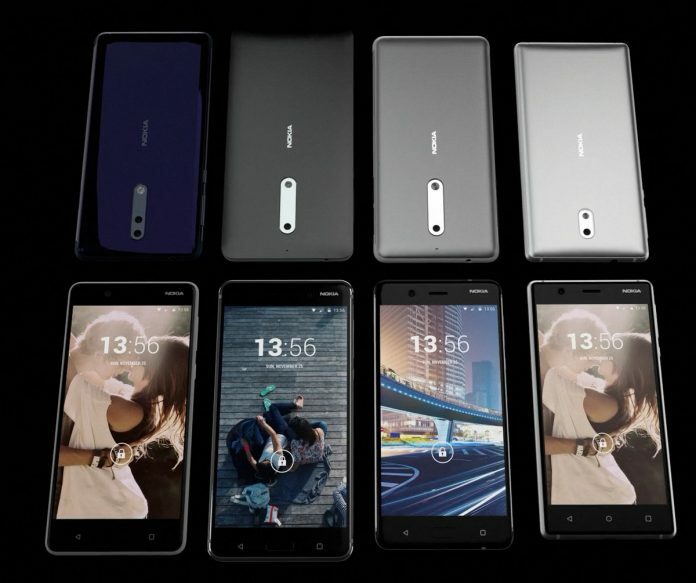 The Nokia 8 may sport a 5.3 inch Quad HD (2560 x 1440 pixels) Super AMOLED display with a pixel density of ~518 PPI. It is expected to have a Primary Dual camera module with 2 lenses of 13MP each with Zeiss Optics. The front camera is expected to be a 12Mp shooter. In the hardware department, we can expect the Nokia 8 to pack a Snapdragon 835 SoC coupled with Adreno 540 GPU. The device is expected to have 4GB/6GB RAM and 64GB/128GB internal memory, expandable up to 256GB via microSD card. The Nokia 8 will most likely run on the latest Android 7.1.1 Nougat update. Based on Nokia’s Android smartphones portfolio, we can expect this one to be a near-stock Android experience. Fresh renders show a front-mounted Fingerprint Sensor and LED Notification light. We can also expect a Dual Speaker on the Nokia 8. Coming to the battery, we may see a big 4,000 mAh non-removable battery. The presence of NFC is not yet confirmed but the device will certainly have a 3.5mm headphone jack. The Nokia 8 may be a single-sim 4G ready smartphone.